The patient has the right to file a grievance with the Composite State Board of Medical Examiners concerning the physician, staff, office and treatment received. The patient should either call the Board with such a complaint or send a written complaint to the Board. The patient should be able to provide the name of the physician or practice name, the address and specific nature of the complaint. The address of the Composite State Board of Medical Examiners is 10th Floor, #2 Peachtree Street NW, Atlanta, GA, 30303. The phone number of the Composite State Board of Medical Examiners is (404) 657-6487. 1. Receive considerate and respectful care. 2. Receive private and confidential care. 3. Know the names and roles of caregivers and office staff. 4. Ask for and receive complete and understandable information about their condition and care and possible outcomes of potential treatments. 5. Participate in decisions regarding their care. 6. Request assistance for concerns and receive a response from IFPSM staff. 8. Access their medical record. 9. Receive an explanation of their bill. 10. Exercise reasonable cultural and spiritual beliefs. 11. Voice concerns to IFPSM staff without fear of reprisal or discrimination. 12. Be informed of any research, educational and experimental activities that may affect their health care. 13. Receive appropriate assessment and management of pain. 14. Have pain assessed and appropriately treated. 15. Complete an advanced directive to indicate your treatment preferences should you become unable to make your own decisions in the future. 16. Expect reasonable safety related office practices and environment. 17. Know the relationship the physician has with outside parties that may influence your treatment or care. 18. Expect high ethical standards be followed in providing your care. 1. 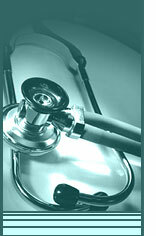 Provide complete and accurate health, medical and insurance information. 2. Ask questions when in doubt about their care or treatment. 3. Communicate changes in their health and/or condition to their care givers. 4. Pay their medical bills promptly. 5. Follow their care givers' instructions or discuss with them any obstacles in complying with prescribed treatment. 6. A ccept responsibility for refusing treatment or not following their treatment plan. 7. Show consideration for others around them, including other patients and staff. 8. Follow all clinic rules affecting patient conduct and care. 9. Keep all appointments as recommended by the physician and call ahead to cancel or reschedule appointments. 10. Know and understand their insurance benefits and coverage and follow their insurers' policies.